Gas Pressure Sensor, interface, and software sold separately. The Respiration Monitor Belt is used to measure human respiration rates. The Respiration Monitor Belt is used with the Gas Pressure Sensor to measure human respiration. Simply strap the belt around the chest and pump air into the belt with the hand bulb, and monitor the pressure associated with the expansion and contraction of the chest during breathing. 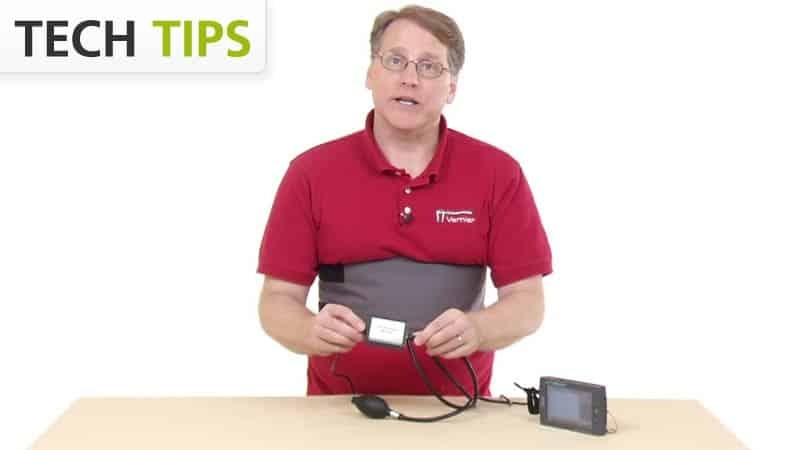 The Respiration Monitor Belt may require a compatible interface and software. Choose a platform below to see compatible interface and software options. The Respiration Monitor Belt is fully supported with LabQuest 2 (version 2.8.5), a standalone data logger with built-in graphing and analysis software.